The festival grounds open at 13:30 PM, with the first official activity of the day, Hatha Yoga at Pachamama. Pachamama is Living Energy's new name and this year it is extending its program to offer new workshops and activities related to Mother Earth. Pachamama is a place when you can nourish your inner energy and promote personal growth trough workshops, talks and music. You can also take free donation therapies that are happening every day. Today Reggae University is having a special guest - Alborosie. He will be present at the Reggae University from 19:30 - 20:30 PM and will collaborate on a debate called "Freedom & Fyah". 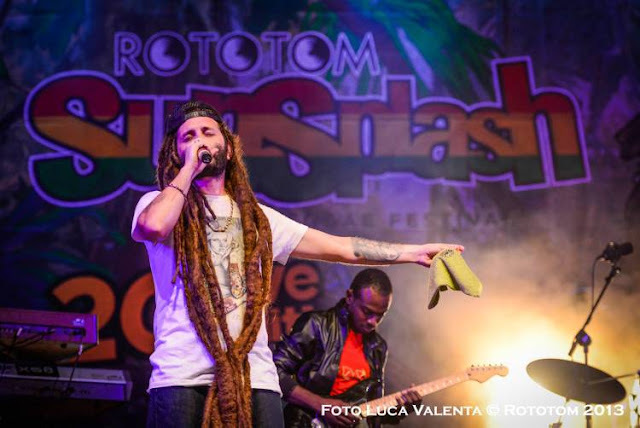 Alborosie is also the one who will be closing the main stage on day 3. He has a deep connection with the festival, so his performances at Rototom Sunsplash are always something you don't want to miss. Stay tuned for more info from the biggest European reggae Festival, we have 5 days to go!